Swordfish is a mild white fish that is easily prepared, delicious when seasoned with all different flavors. 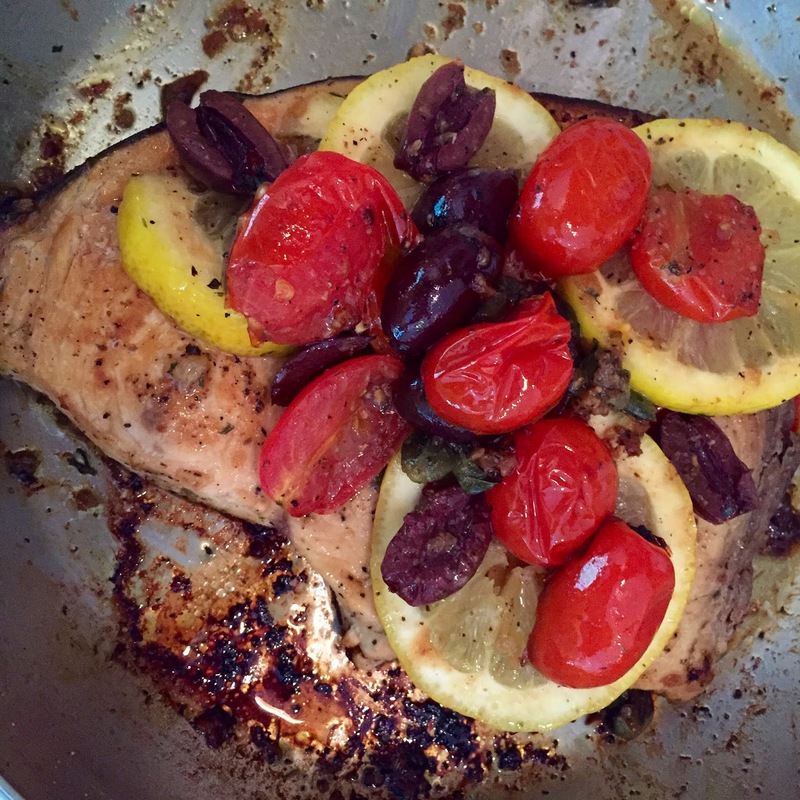 I like to try different styles of preparing swordfish but one of my favorite is to just pan sear with great spices, lemon, capers, olives and tomatoes reminding me of dinning over looking the blue Mediterranean sea! Pat swordfish dry and season with salt and pepper. In a heavy skillet heat butter and oil over moderately high heat until foam subsides and sauté garlic with crushed red pepper, stirring, 1 minute. Push shallots to side of skillet. Add swordfish and sauté until golden, about 3 minutes. Turn fish over and add lemon juice, capers, and water. 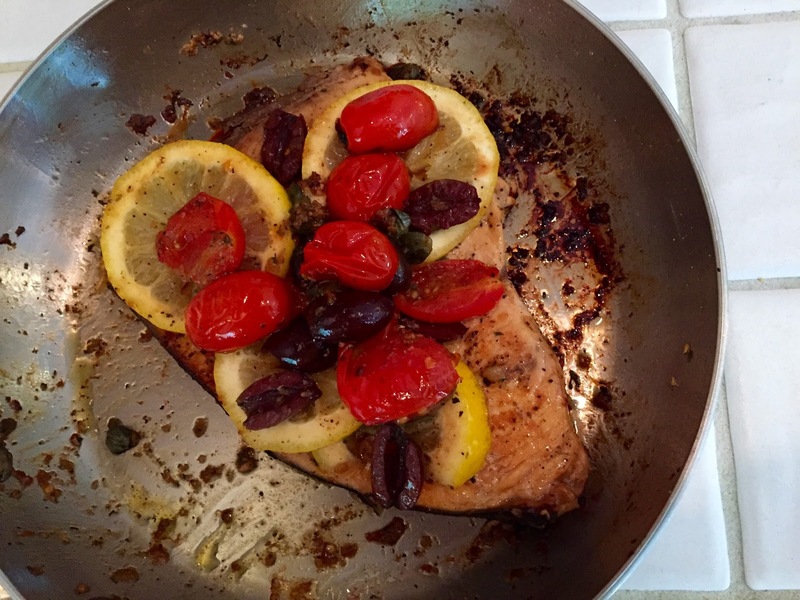 Top with olives, tomatoes and lemon slices. Simmer mixture 3 minutes, or until fish is just cooked through. Serves two.